The law in Alberta says ‘Caveat Emptor’ meaning Buyer Beware and that is why most people use a buying realtor today. Buying a home via a listing agent is not recommended. We see reasons for that quite often. Probably the best example is where a couple called the listing agent to view a home which was priced at $549,000. That afternoon the couple decided to put in an offer of $525,000.The listing realtor was convinced that the seller would never take such a low bid. When friends overheard their story, they warned them to use a buying realtor, and their friends sent them to us. The next day, we helped them buy the same home, and negotiated that same home down to $495,000. Another couple was looking at buying a vacant lot. The lot was priced at $530,000. As their buying realtor we could tell that the lot was bought only 1 year ago for only $430,000. Further research into other comparable lots showed that $430,000 was around real market value for the lot, not $530,000. We are not implying that we negotiate this much on every home, but they are still good examples of why you should use the help of a buying realtor. Your buying realtor works in your best interest, where the seller already works in the best interest of the sellers. A conflict of interest arises when the listing agent is acting on behalf of both parties, the buyers and the sellers. With signing a listing contract the listing realtor and the seller enter into a relationship, where the realtor has many duties towards his clients, the sellers. One of those duties is that the listing agent must work in the best interest of the sellers, and he must give all relevant information he knows and hears about the buyers. 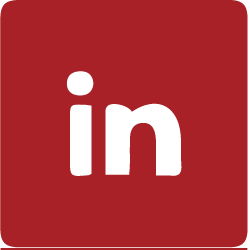 If you as a buyer tell the listing realtor personal information that could be of use for the seller, he must pass your information on. Right there you put yourself at a disadvantage when you want to negotiate. Help of a buying realtor does not only reflect financially. As buying realtors we can help with the right home inspectors, lawyers and other professionals. We help determine the resale value of a home, and we look at comparable sold listings and the history of a home. Do I get a better deal buying from the listing realtor? Some people think you get a ‘better deal’ or part of the commissions if you buy through the listing realtor. Only the listing realtor is getting a ‘better deal’ with double commission. And most likely he will pass on some of his double commissions to his sellers with a discount. But it is almost a fact that none of the commission goes to you, the buyer. A listing agent will not tell the buyer everything he knows. A listing realtor is not obligated to tell the buyer everything s/he knows about the property. S/he sells for his clients. 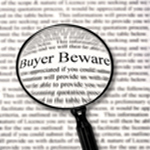 ‘Buyer Beware’ means that you as the buyer must know where to look and what to look for. Who knows what an RPR is, how do you pull title? What is title and what does it mean? Pulling title on a home and looking at the RPR of a home is important and could prevent you from having a lot of problems down the road. In most cases, the help of a buying realtor does not cost you any money. The listing realtor will give part of his commission to the buying realtor. If this is not the case, then a buying realtor may ask you for the shortfall. It is very important to have this discussion with your realtor before you start the process.